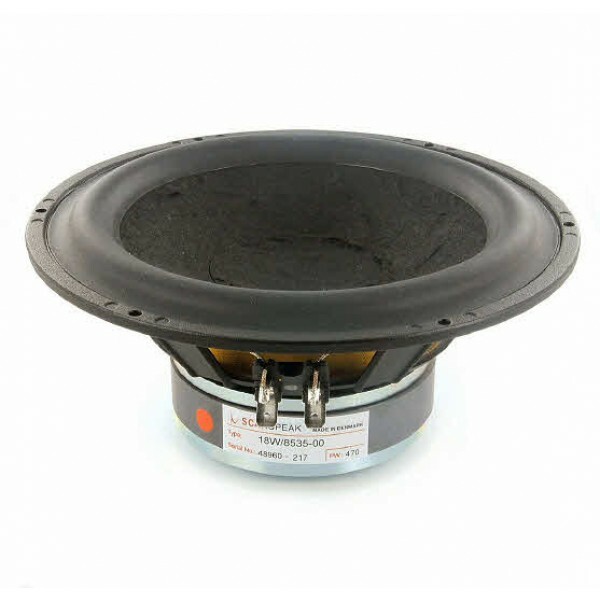 Scanspeak 18W/853501 Mid Woofer - Classic Range. 7" 8 ohm MidWoofer. High output, 38mm voice coil, replacement for the 18W/8535-00 (no longer available). Air Dried Paper/Carbon Fibre cone, Scanspeak SD-1 Symmetrical Motor Design, Low Loss linear suspension and a Low Damping SBR Rubber Surround.